Itamar welcomed Glenn Beck and his team who came to visit the community. Glenn has been a real friend and inspiration for Itamar. 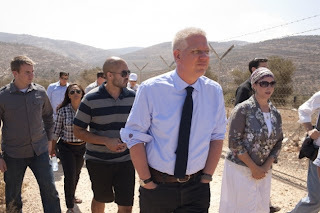 He spent a few hours on Monday touring the community with Mayor Rabbi Moshe Goldsmith and his wife Leah. Glenn can be applauded for his outspoken coverage of the Fogal massacre back in March came to see at first hand where this transpired. A week of well known visitors! Itamar welcomed the visit of Raya El-Salahi from England a famous newscaster, model, and actress who came to explore her roots in Israel. 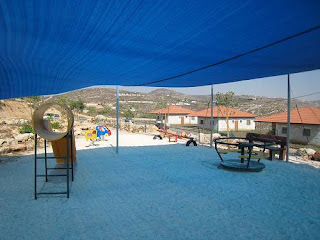 Special thanks to Friends of Itamar for donating a shade tent for the Avi Blumenfeld park. We did plant a lot of trees but it will take a few years before the trees are large enough to supply the proper shade. Itamar enjoyed the visit of Rabbanim from the Tzohar organization that came to tour the community. There were both Rabbanim from EretzYisrael and abroad. There were Rabbis from Chicago, New York, Texas and other states as well. 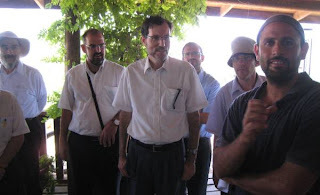 Rabbi Moshe Goldsmith showed them around the town and shared with them his experience as mayor for the last 7 years. 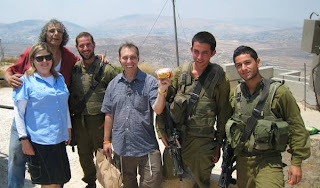 Itamar welcomed its dear friends Alan Nussbaum and Penina Arbesfeld who came to visit the town. They were so kind as to buy treats for the soldiers protecting the area. Enjoy the pictures of them giving out food and refreshments. 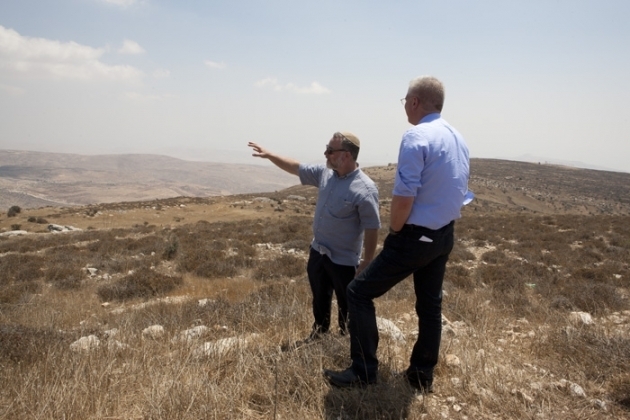 Itamar welcomed the visit of representatives from the OU. 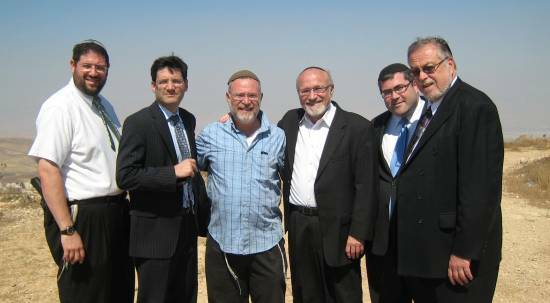 Rabbi Simchah Katz, Rabbi Melvin and Steven Berg, Rabbi Steven Weil and Rabbi Avi Berman. They came on the fast day of the 17th of Tammuz as a rectification of the destruction of the Temple by touring the hills of Itamar and experiencing the rebirth of the children of Israel who have returned to the land of Hashem and are reviving our precious homeland. May we all merit to build the Temple in our times. 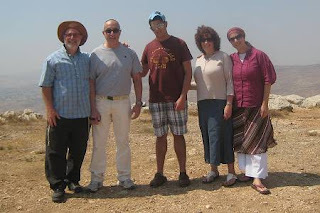 Itamar enjoyed the visit of the Meisel family from the five towns that came to visit Itamar this week. The Meisels are part of the special community of Anshay Chesed that have been help sponsoring the Itamar summer camp program for the last seven years. This week some of the activities included a Sports Day, kumzitz, and nature hikes. In the name of our community, we want to express our deep appreciation and thanks for this amazing mitzvah. 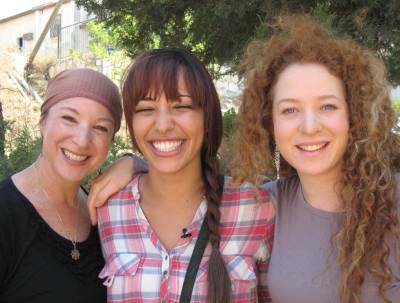 May Hashem bless these special people! 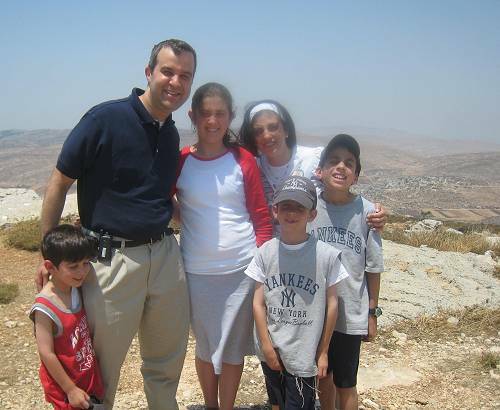 Itamar welcomed Avi , Sheryl, and Moshe Willinger who came to visit our town this week from Edison NJ. Avi and Sheryl hope to make Aliyah to Israel and move to Itamar . Itamar welcomed the visit of Rabbi Avi Weiss from Riverdale and his family the Fischbergers from Efrat. Rabbi Weiss was very moved by his visit and left a meaningful message to our town. Watch Rabbi Avi Weiss's message to our community.